Foreign construction workers are seen on a building site in Kuwait City. Image for illustrative purpose. 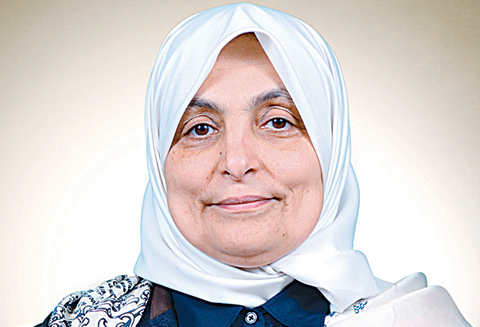 KUWAIT - Minister of Social Affairs and Labor Hind Al-Sabeeh yesterday formed a supreme consultative committee to look into and resolve problems of manpower in the country, with the main aim of fighting visa trading. Health Minister Jamal Al-Harbi meanwhile will lay on Wednesday the foundation stone of the first hospital run by a private company to provide medical care to expatriates. The supreme labor committee consists of representatives of the government and also employers and workers as well, in addition to manpower experts. The committee will be entrusted to study all problems relating to manpower in the country and make proposals to resolve key labor problems, especially visa trading and the recruitment of unskilled expatriate workers. The committee will also study issues notified by the minister. Board members of the committee will include the head of the manpower department, three of his assistants, representatives of the ministries of interior and commerce and the municipality, in addition to two members each from the chamber of commerce and trade unions, and two experts in the field. Meanwhile, the new hospital for expatriates only will be constructed south of Sabahiya by the Health Assurance Hospitals Co (Daman), a public private partnership (PPP) company. The company aims to privatize health services provided to expatriates through the payment of health insurance. The first hospital is expected to become operational by 2020. The company plans to build several other hospitals in other governorates with the ultimate objective of relieving public hospitals to provide medical care to citizens only. The new medical system for expatriates was approved by the National Assembly amid increasing calls to allocate public hospitals for the treatment of Kuwaitis only. The new system requires expatriates to pay health premiums to benefit from the Daman hospitals. All rights reserved. © Kuwait Times Newspaper 2017 Provided by SyndiGate Media Inc. (Syndigate.info).